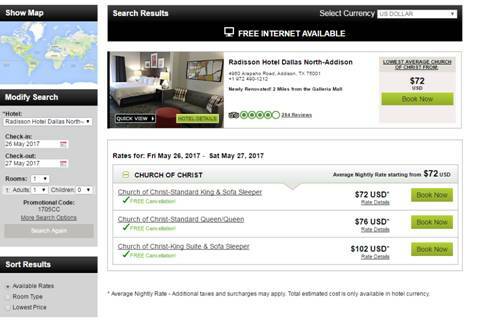 $69 per night, complimentary breakfast included. Reservation must be made by ????? to receive this rate. 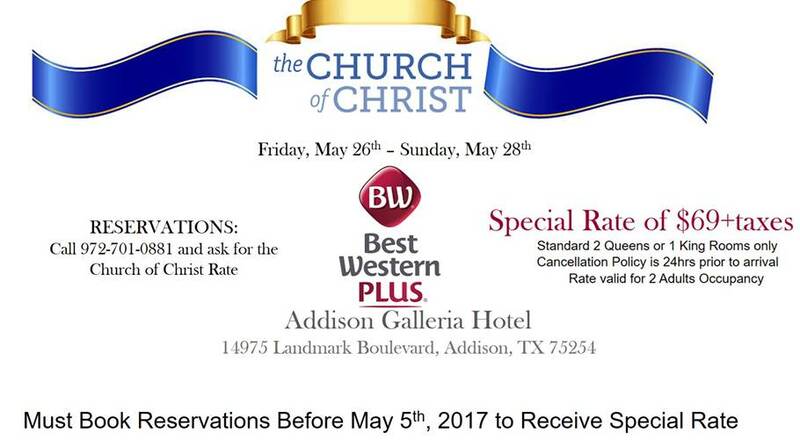 Mention church of Christ when making the reservation. reservation in by ???? to receive this rate. Cutoff date for these rates is ??? to receive this rate. Cutoff Date is ?????? to receive this rate. ​ask for the Church of Christ group block during ?????? ?